UPDATED: Tue., June 26, 2018, 3:08 p.m.
Ryan Dease (2-0, 1.50) allowed four hits and no walks while striking out five in seven innings to help the Indians (4-7) shut out the visiting Canadians (3-8). Dease was masterful in keeping the Canadians off-balance all evening. “I think at this level in order to move you you have to command two pitches: fastball in and fastball away,” manager Kenny Holmberg explained. “That sets up good breaking balls, that sets up the change, makes hitters expand on breaking balls. Curtis Terry hit his league-leading fourth home run, a two-run shot, and Kevin Mendoza hit a two-run single. The big play: Mendoza’s hit in the fourth inning made it 3-0 and really took the wind out of Vancouver starter Elio Silva. The crafty lefty had given up some hard contact but Spokane had little to show for it until Mendoza came through. Holmberg praised his backup catcher/first baseman. The Good: Curtis Terry’s home run still hasn’t come down. It hit as high into the screen beyond the left field fence as most folks in the press box could remember. The very definition of “big fly”. The Bad: Everybody got a hit. There were no errors. Let’s call it a wash for the day. The Ugly: Vancouver starter Elio Silva’s first start was a one-hit masterpiece. On Monday, he was roughed up. He allowed five runs on nine hits over five innings. That’s how your ERA explodes. The Takeaway: Indians get their first series win of the season and everyone’s breathing a little easier as the four-game losing streak becomes a distant memory. 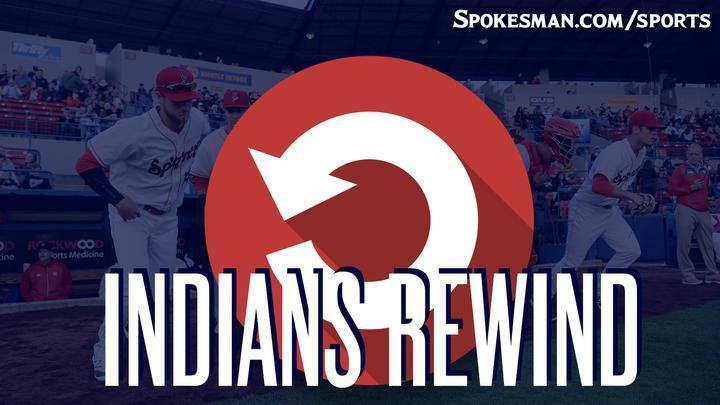 Next Game: Indians vs. Everett on Tuesday at 6:30 p.m. at Avista Stadium. ICYMI: Our story on Vancouver’s Griffin Conine, son of longtime MLB player Jeff Conine, and his transition from college to pro baseball. Published: June 26, 2018, 11:55 a.m. Updated: June 26, 2018, 3:08 p.m.